On Tuesday, August 4, 2015, Cleveland residents are invited to participate in the 32nd annual “Night out Against Crime”. The “Night out Against Crime” is an opportunity for Clevelanders to come together as One Cleveland and strengthen their communities. 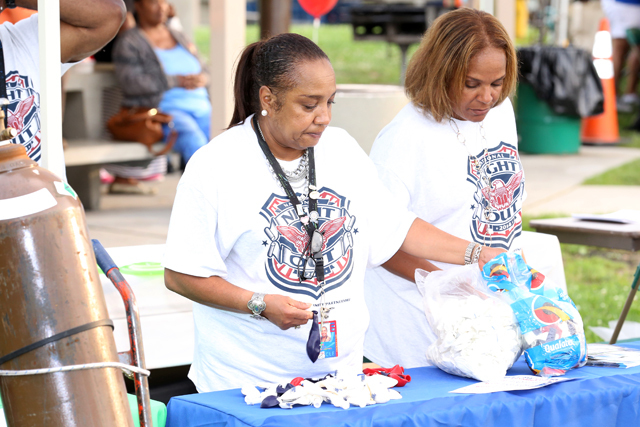 “Night out Against Crime” events will occur in each of the city’s four police districts with the main event taking place at League Park on 6601 Lexington Ave from 5:00 pm – 9:00 pm on August 4. Highlighting this year’s “Night out against Crime” event will be an exhibition baseball game played at the historic League Park between Cleveland Police Officers and youth from the City of Cleveland’s youth baseball league with support from the Cleveland Indians. The exhibition game is being played as a part of the United States Conference of Mayors (USCM) support of Major League Baseball’s “Play Ball” initiative. The month of August has been designated as “Play Ball Month” in cities nationwide. US Mayors are implementing the initiative in their respective city with the goal of strengthening bonds between families and communities with baseball through baseball-related activities. Reblogged this on Cleveland Division of Police.